East Lily giving phred some love about three days before he left us for kitty heaven. 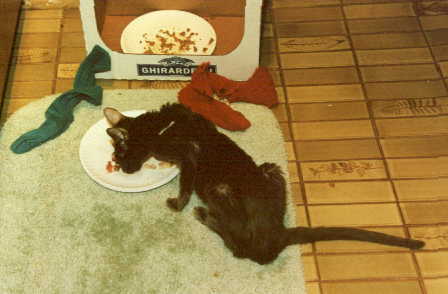 Phred was an oriental shorthair ex-boy kitty. 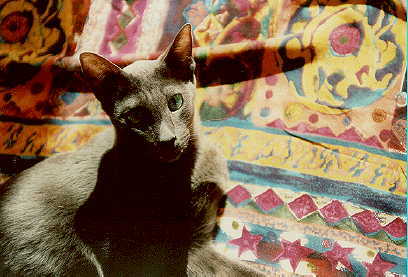 Orientals are very unusual cats. They are long and skinny, very graceful, and extremely curious. They are demanding of your attention, real in-your-face cats. If you won't pick them up, they often will jump into your arms. They like to ride shoulders. They are wonderful company. They just like to be with you. Phred was amazingly weird. He was very attached to me, and nobody else would do. It was difficult to get him to sit in my lap, because he preferred to just stand there and gaze into my eyes. He enjoyed a ride in the car, and he was happy to be wherever I took him. He was perfectly content to be taken to a class full of children and passed around. He looked on all of life as a pleasant adventure, with me the goddess and The Giver of All Things. A very sick Phred with his socks. Orientals suffer greatly from immune system disorders. They are sick a lot. 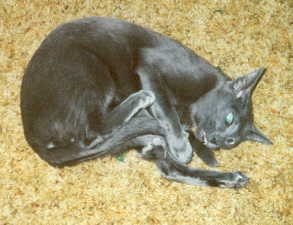 Phred had a difficult five last years, and died in his 14th year of life. He spent the last two years on my lap in front of the computer. I made him an honorary CL (Cat Leader) at geocities. 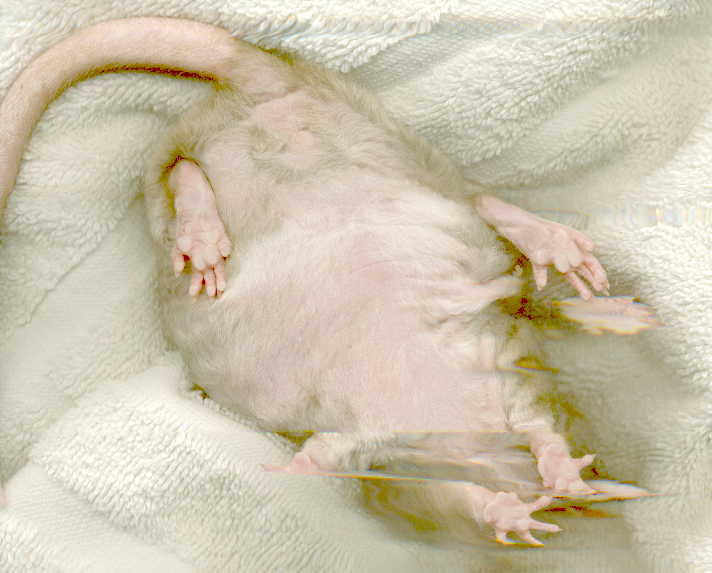 He fought to stay alive for long time. 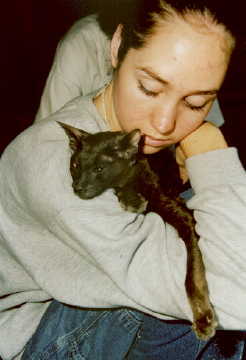 Phred died in my arms on a sad afternoon when he finally decided it was time to go. I buried Phred out by the edge of the woods, a place he especially liked. We all miss Phred terribly. 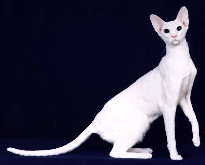 His half-sister, Melody (Melodious Kitty, Smellody, Malodorous, Meow Loudly, Smell Odious) cries for him day and night. If there are no cats in heaven, I plan to go wherever Phred is when I die. I know he is waiting for me.